It's wonderful to display photos of friends and family in your home, especially during the holiday season. These photos are a great way to remember happy moments with loved ones. 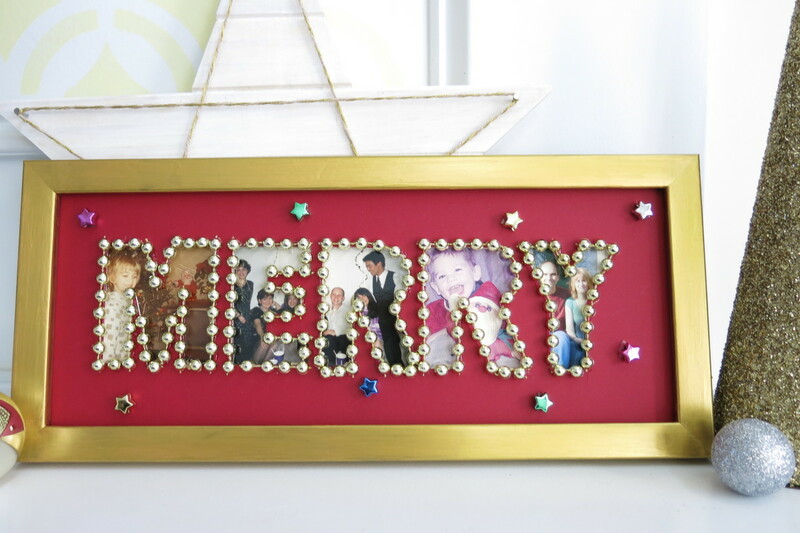 This cheery sign is a great way to incorporate your favorite photos into your Christmas decorating! 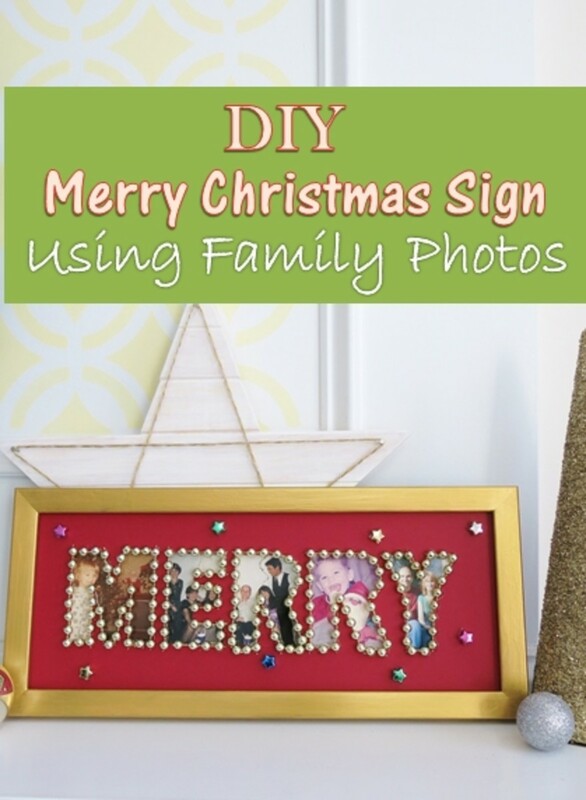 Although this project is designed to use photographs, you can also use old Christmas cards, wrapping paper, or scrapbook paper to decorate your sign. And this sign design can also be used for photo displays for other times of the year, using words like family, welcome, happy, and thankful. a variety of photos, old Christmas cards, wrapping paper, or decorative paper - I used family photos for my sign, but you can use other images to decorate your sign. 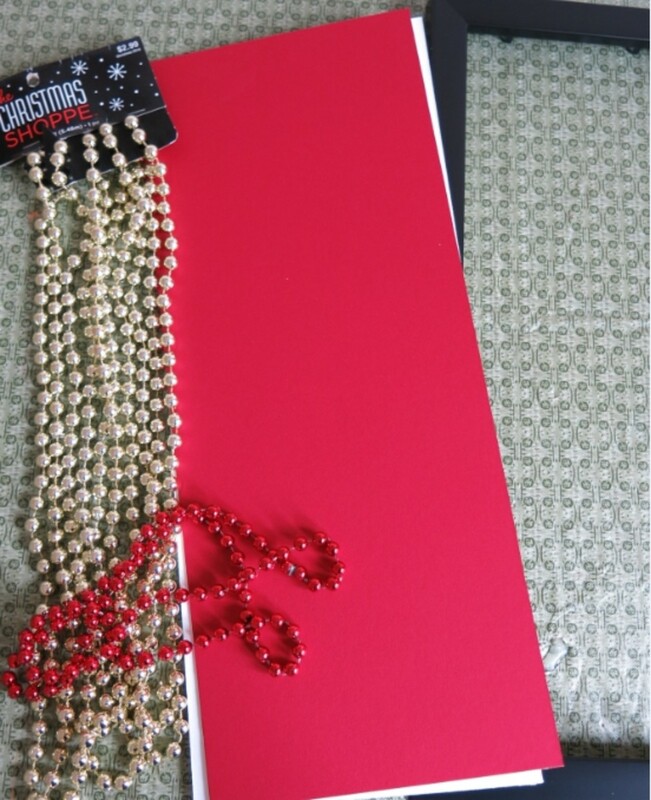 If you use photos, I suggest choosing ones with lots of red and greens in them for a holiday theme. 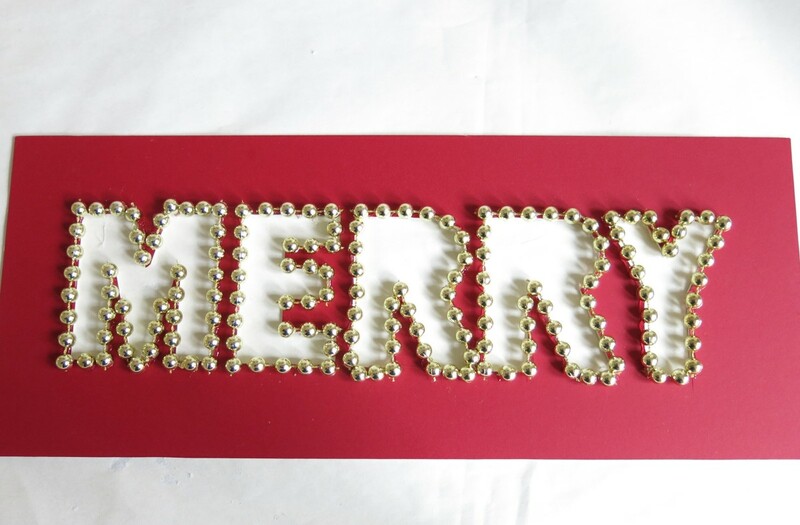 a piece of mat board or poster board (color of your choice) - size is described below in Step 3.
beaded garland, cording, or beaded trim - to outline the letters on your sign. You could also use small pom pom trim, cording, or beaded trim for sewing. a frame (size described below) - this is optional, but gives your sign a finished look. Choose a frame that you can remove the glass from. a backing board (same size as your mat board) - this is if you choose not to use a frame, or if your frame does not have a backing board. sharp craft knife or utility knife - to cut your mat or poster board. 2. Next, decide what typeface and design you would like to use for your sign. I used the Word program on my computer to try different typefaces. 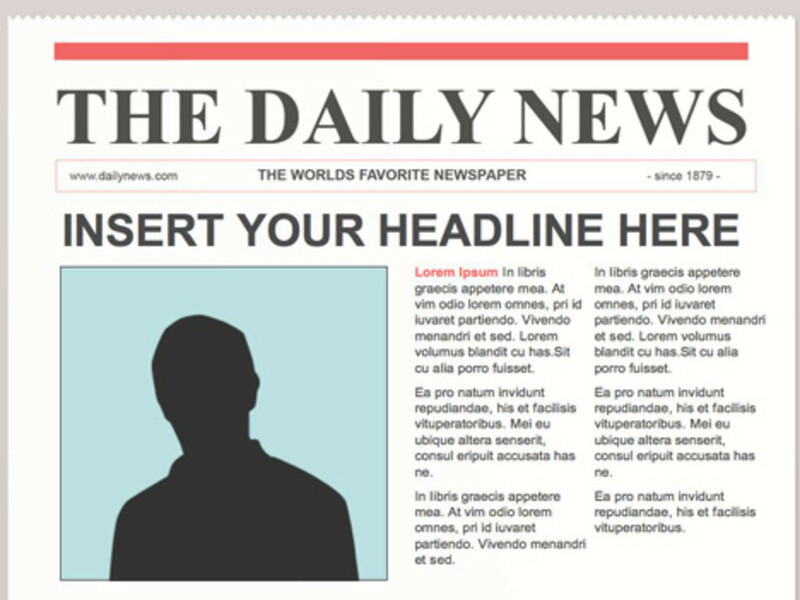 You can try your word in a vertical or horizontal position, or in some other arrangement (see samples above). I would suggest using a simple typeface, as you will need to cut around your letter forms. Simple, bold type is best so that your letter openings will be large to display your photos. You also want some space between your letters to glue your trim around each one. 3. Then decide how big your want your sign to be. You will need to make your sign and word large enough so that you can place photos behind your cut openings, and have enough space between letters to outline them with your trim. If you want to frame your sign, consider making the overall size something that will fit into a ready made frame. 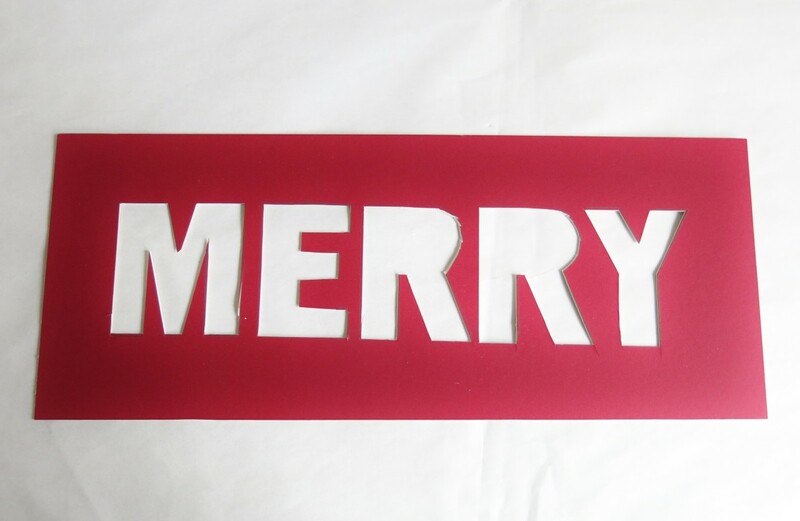 I decided to use the word "MERRY" and add a simple Christmas tree outline to my sign. I chose a long, narrow frame for my sign. You can add different Christmas shapes like trees, gingerbread men, snowmen, or Christmas balls to fill out any space in your sign and frame. My plan was to put wrapping paper behind my cut out tree outline and decorate the tree with more beaded garland. 4. When you've chosen your typeface and size for your sign, print out your word to make a paper template. 5. Use a craft or utility knife to cut out the letters of your word. 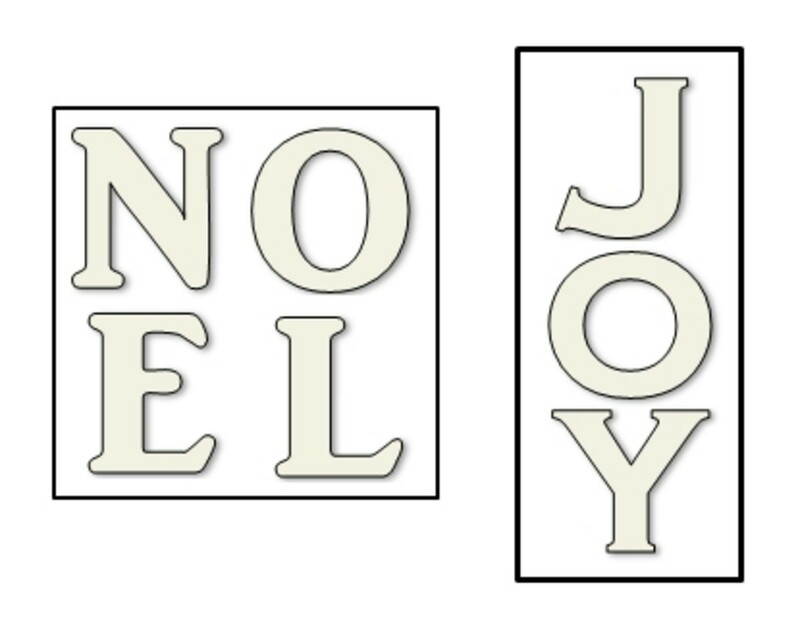 With some letters, like "O", "P", "R", and "D", you may lose the center of the letter when you cut it out. This is fine, because it gives more area to display your photos behind the letter. If it bothers you, you can cut out the central piece and glue it in place on your sign later. 6. Next, place your template over your mat or poster board and trace your letters on to your sign. I used painters tape to hold my template in place so that it wouldn't damage my mat board. When I printed out my word for my sign, I realized that my added Christmas tree wouldn't fit on my mat board so I left it off. 7. Now carefully cut your letters out of your mat or poster board. Your edges do not need to be perfect. Your beaded trim will cover some imperfections. You can use some sandpaper to clean up your corners. 8. Working slowly one letter at a time, add a thin line of hot glue around each side of your letters and glue your beaded trim around your word. In order to fit my trim in between my letters, I glued my garland on the inner edge of the opening of each letter. 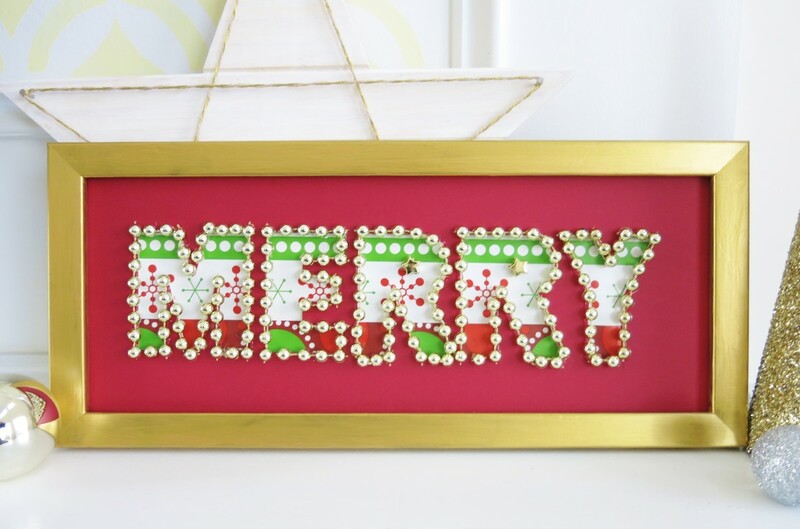 You can cut your garland to fit around the bends and short sides of your letters as needed. Decide what looks best for your finished sign. 9. 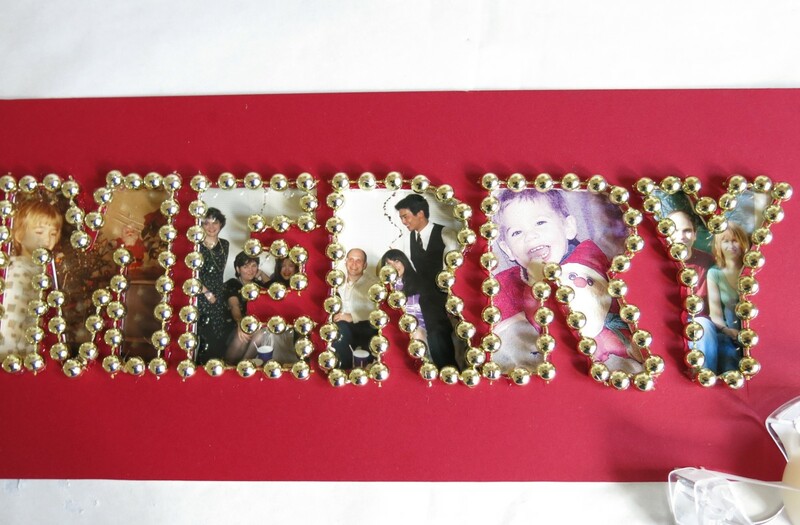 Now you can start fitting your photos or decorative paper behind each letter opening. I just used tape at the top of each photo to hold them in place on the back of my mat board. Choose and position your photos to display them to the best advantage. If you want to use original photographs, I would suggest scanning them and printing them out on photo paper. Then you can cut down your photos as needed without damaging the originals. This is also a great way to resize your favorite photos so you can use them for your sign. 10. This would be the time to add in the center parts of any letters if you want to include them. You can glue the center of your "O" or other letters over your photo and add your trim if you choose. 11. Now put your sign together with a backing board in your frame (if you choose). 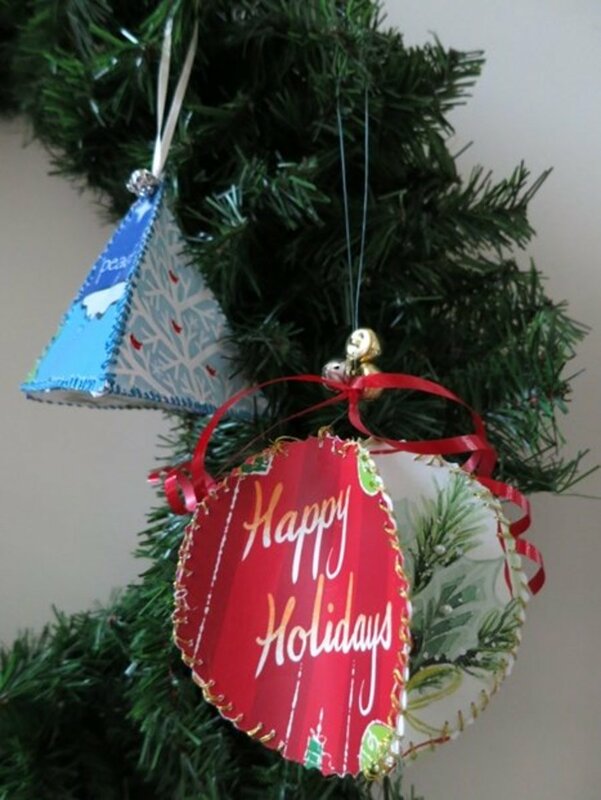 You can add additional decoration to your sign with more beaded trim, glitter glue, buttons, or stamps. I added a few shiny star beads to my display. Just for fun, I tried my sign with some wrapping paper behind my letters. I used some star beads to fill in the centers of a few of my letters. I like the way this looks too! Hi Heidi - Thanks so much! 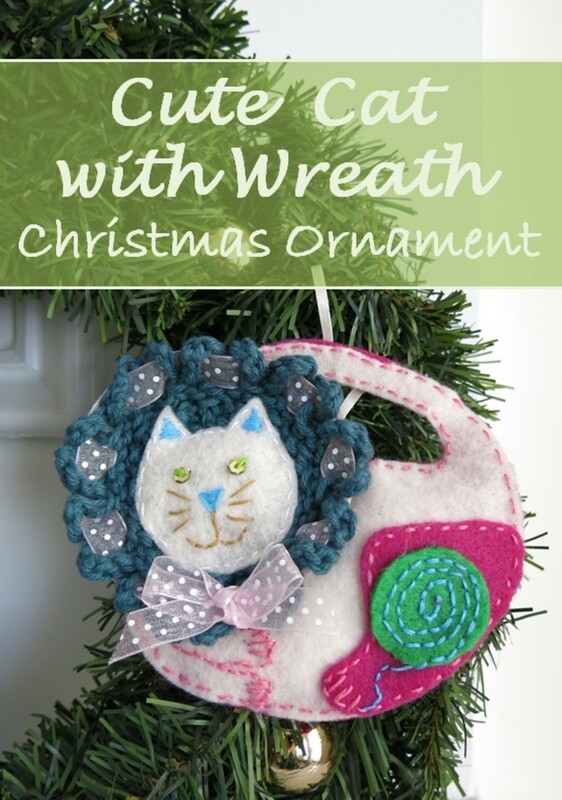 I hadn't thought of this project as a gift idea, but you're right. It would make a great gift, particularly for a new couple or new parents. Thanks for sharing your great suggestion. Hope you are enjoying this holiday season! Well isn't that cute and personal! This would be a great family gift. Thanks, as always, for sharing your creative gifts with us. Happy Holidays!